I think you know by now that I’m a fan. Of cauliflower. I mean, I love it raw – snapped right off the head and eaten out of hand like the veggie rebel-rouser that I am. Add a creamy guacamole for dipping, and I’m completely besotted. 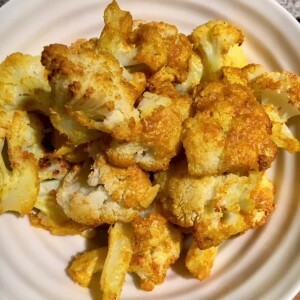 And roasted cauli…heavens to Betsy! Either simply massaged with melted coconut or olive oil and a good sprinkle of sea salt, or ratcheted up a notch with a healthy spoonful of tahini and curry spice added to the mix. Divine. 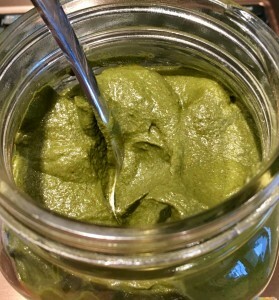 And of course, a scene-stealing toss into a smoothie (either pre-steamed and frozen, or simply raw) for a surprising je-ne-sais-quoi creaminess! But really, I’m a card-carrying fan of all vegetables. And I am particularly fond of our dear veggie friends who fall into the category of ‘cruciferous.’ Now, while I’ve just noticed that this term sounds rather foreboding (yikes! 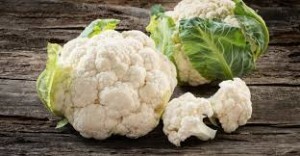 ), these cruciferous gems are far from ominous and tout health benefits galore. This family of vegetables – including greens like watercress, collards and kale, plus cabbages, broccoli, cauliflower, Brussels sprouts, radishes and their relatives – are ultra-rich in phytochemicals called glucosinolates. These sulfur-containing compounds get converted in the body – because of your digestive enzymes and friendly intestinal microflora – into potent detoxifying molecules called isothiocyanates. Big words…big role! You don’t need to understand the chemistry to reap the benefits, though. Simply take a big helping of ‘crucs’ as often as you can. 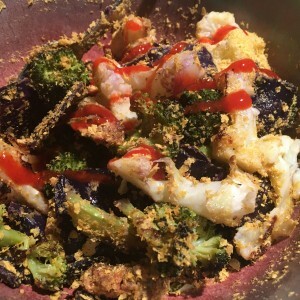 Above: a wonderful medley of cauliflower and broccoli simply roasted with coconut oil and sea salt, then tossed in a bowl with nutritional yeast and sriracha. Delicious!